Q. What led to your own interview with Springsteen? A. One day in late 1973, the mailman delivered a review copy of Springsteen’s just-released second album. I’d barely heard of him before the LP arrived but the more I played it the more captivated I became. So I called the publicity department at Columbia Records and said I’d like to talk with Bruce. A couple of weeks later, on January 15, 1974, he phoned me at home. Something tells me it wouldn’t be quite so easy to arrange an interview today. Q. How was he doing at the time? A. Not well. He was earning $75 a week and he spent much of our interview complaining about finances and talking about how he might not be able to keep the band together if he couldn’t earn enough to pay its members. As I say in the book, I told him I loved his second album but hadn’t heard his first—at which point he offered to send me his copy, noting that he couldn’t afford a record player to play it on. Q. 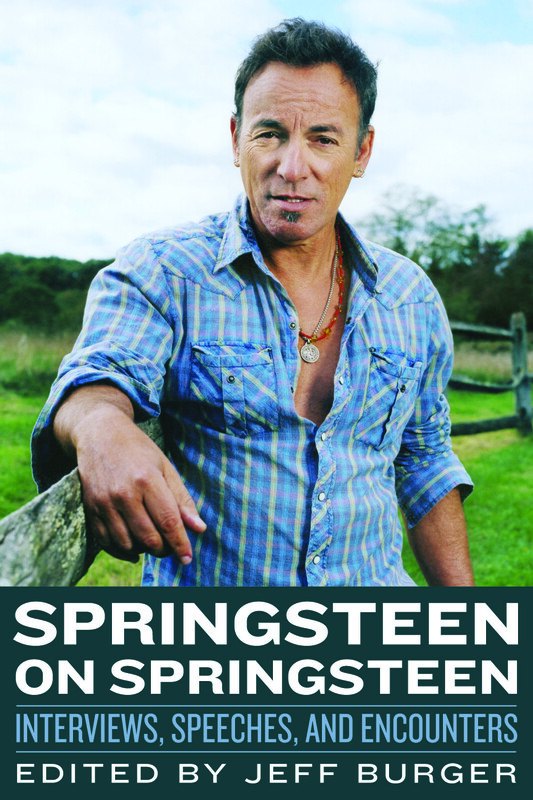 How did your Springsteen book come about? A. Like most things in my life, it happened pretty much by chance. A writer contacted me out of the blue a few years ago and told me he was putting together an anthology of Tom Waits interviews for publication by Chicago Review Press. He’d unearthed an interview I’d done with Waits for Melody Maker back in 1974, and he wanted to use it in the book. I said OK and wound up having a few email exchanges with the publisher, during which I asked whether Chicago Review Press might ever be interested in a similar book on Bruce Springsteen. Next thing I knew, I was staring at a deadline. Q. What did you learn about Springsteen from this project? A. He has been a sophisticated and articulate player on the world stage for so long now that I’d forgotten just how far he’d come. In the first interview in the book, he says, “I’m at a point where this is all very new to me” and admits, “I’m not really a literary type of cat.” A few decades later, he was speaking with authority about literary and cinematic influences, politics, and more. He always had the brainpower, and when he had the chance, he basically gave himself a college education. Q. What most surprised you about the project itself? A. The amount of work involved in assembling an anthology. Before I compiled this book, I would have assumed that editing a collection of works would be much easier than writing from scratch. It’s not. Even with the Internet (without which this book would have been impossible), it took hundreds of hours to track down all of the material included here, find the copyright owners, and secure rights. I spent hundreds of additional hours transcribing audio and video recordings, editing, checking facts, making corrections, and writing introductions. I’ll never look at an anthology the same way again. Q. Which interviews in the book are your favorites? A. Probably the 1998 conversation with Charlie Rose, in which he talks so frankly about both of his parents, and his 1996 interview with Advocate editor Judy Wieder, in which he discusses what marriage means to him and why he believes in marriage equality for gays. I also particularly like his acceptance speech at his Rock and Roll Hall of Fame induction, which is both touching and funny, and his Hall of Fame speech about Bob Dylan. Q. What are your favorite Springsteen songs? A. I’ve put together a list of 50 of them. You can read it here. A. I’ve just finished Leonard Cohen on Leonard Cohen: Interviews and Encounters, which Chicago Review Press will publish in spring 2014. It contains more than 50 interviews spanning nearly half a century—from 1966 to 2012—from the US, Canada, England, Spain, Greece, Australia, and Scandinavia. Read more about it.